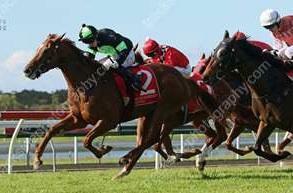 Thornett recorded his first win last month by taking out the Maiden Handicap over 1400m at the Sunshine Coast. Jumping from barrier seven in the field on eleven, the three year old settled back worse than midfield during the run. He travelled nicely and let down well in the big straight to score comfortably by half a length. The Thorn Park gelding was having just his second start, going one better than his first start where he was runner up. The win continues to good run for Proven Thoroughbreds and provided them with their ninth win this year.